Individuals should have the opportunity to have the number of children they want—that is the dogma of the laboratory of Jon Hennebold, Ph.D. To make that possible, Hennebold, chief of the Division of Reproductive & Developmental Sciences at the Oregon National Primate Research Center, focuses on identifying and characterizing the molecular events necessary for ovulation in primates. Most of what we currently know about the ovulation cycle stems from data generated using rodent models, but there is no doubt there are differences between rodents and primates in the ways reproductive systems are controlled. 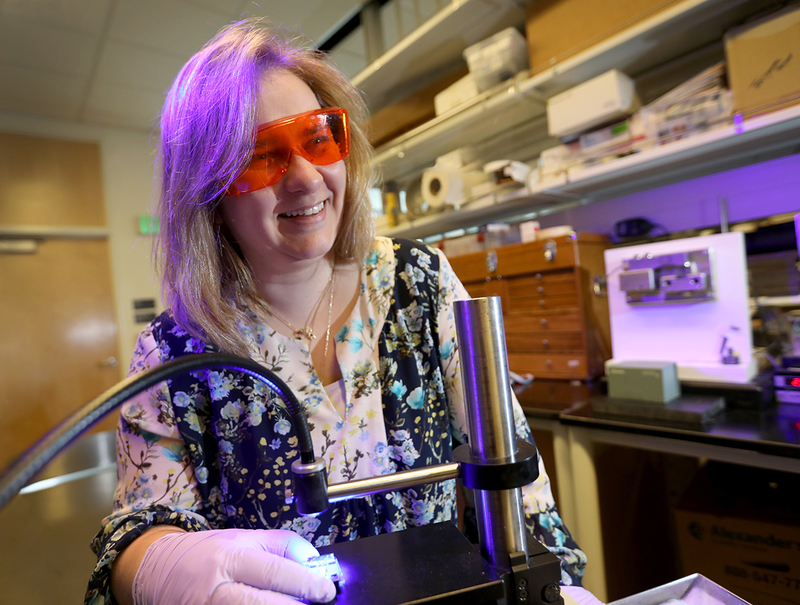 Hennebold’s recent research with non-human primates has not only identified a new key player in ovulation in primates—it has demonstrated a specific difference in ovulatory processes in rodents and primates. The Endocrine Society has named the paper, published in the journal Endocrinology, one of the 15 most important papers of the year. 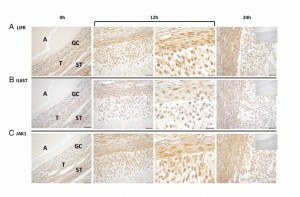 Previous research conducted with mice models proved that Leukemia Inhibitory Factor, a cytokine that affects cell growth, is unnecessary for rodent ovulation. Hennebold’s team has now demonstrated that, for primates, LIF is absolutely required. The findings have implications for the promotion and control of fertility in humans, as well as demonstrating an important difference in the ovarian systems in rodents and primates. In order to understand primate reproduction physiology and ovarian biology, Hennebold’s team has been applying genomic approaches to characterize all of the pathways that have to work together for ovulation to occur. When the team found that, unlike with rodents, LIF is highly active in the primate ovary, they conducted additional studies in which they blocked the LIF pathway. These studies demonstrated that without LIF, ovulation cannot occur. The findings have clinical implications. Understanding that LIF is critical in primates but not in rodents moves scientists closer to understanding the mechanisms involved in human ovulation. The physiology and processes of ovulation are extremely similar in humans and non-human primates, and this new knowledge suggests that targeting LIF may lead to therapies that could encourage or interrupt fertility. Next steps in the research include examining the relationship between this event, ovulatory processes, and fertility. Hennebold’s team has taken us one step closer to their goal—making it possible for women to have the number of children they choose. Co-authors of the paper include Melinda J. Murphy, Nathan G. Halow, and Pamela A. Royer. This work was supported by the National Institutes for Health Grants OD011092 (J.D.H.) and R21HD072528 (J.D.H.). Congrats Jon and Team, well done. Congratulations to Jon and Team. Excited to see the results of the next steps in the research on this topic.